Students in the Master's programs in Statistics: Questions about specific course work should be directed to the advising team (email address: stat-ms-ad@umich.edu) or to your assigned faculty advisor. Please go to this page to this page set up an appointment with me or other advisors. Students in the dual Master's program are welcome to sign up for an appointment with me. Prospective PhD students: Thank you for your interest. Admissions decision is made a graduate admissions committee, please see this link for further information. My apology if I am unable to respond to your enquiry due to the large volume of such emails. Synopsis: Statistical inference is the computational process of turning data into statistics, prediction and understanding. I work with richly structured data, such as those extracted from texts, images and other spatiotemporal signals. In recent years I have gravitated toward a field in statistics known as Bayesian nonparametrics, which provides a fertile and powerful mathematical framework for the development of many computational and statistical modeling ideas. The spirit of Bayesian nonparametric statistics is to enable the kind of inferential procedures according to which both the statistical modeling and computational complexity may adapt to increasingly large and complex data patterns in a graceful and effective way. In this framework, stochastic processes and random measures, along with latent variable models such as mixture, hierarchical and graphical models figure prominently. 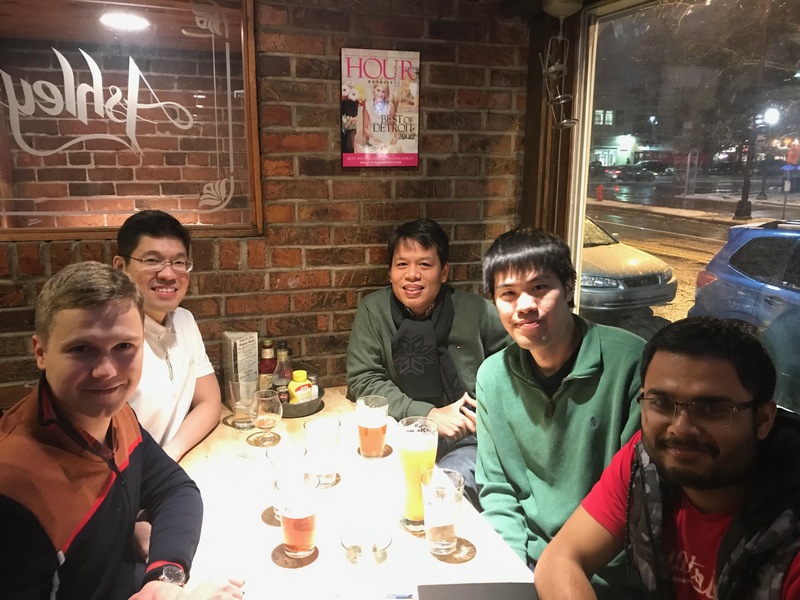 My group's research is centered around the interaction between statistical inference and the theory of optimal transport that arises in the learning of complex hierarchical models. My motivation for all this came originally from an interest in machine learning, which continues to be a major source of active research interest. A primary focus in our machine learning research is to develop more effective inference algorithms using variational, stochastic and geometric viewpoints. Music theory: Joint with music theorists at Michigan, Sam Mukherji, Áine Heneghan, Nathan Martin and Rene Rusch, and UM linguist Steven Abney. Learning from naturalistic driving encounters: Joint with Ding Zhao (mechanical engineering faculty at Carnegie Mellon University) and funded by Toyota Research Institute. Real time CO2 data assimilation and anomaly detection project. Led by Anna Michalak Lab at Carnegie Institution for Science and Michigan team. Big Data Summer Institute. Led by Bhramar Mukherjee at the University of Michigan. Exciting opportunity for computer science, mathematics and statistics undergraduates looking to find meaning in very large scale data. STATMOS: Research Network for Statistical Methods for Atmotspheric and Oceanic Sciences. Vietnam Institute for Advanced Study in Mathematics. An excellent place for mathematics and mathematical research in Hanoi. On posterior contraction of parameters and interpretability in Bayesian mixture modeling. A. Guha, N. Ho and X. Nguyen. arXiv:1901.05078. On functional aggregate queries with additive inequalities. M. Abo Khamis, R. Curtin, B. Moseley, H. Ngo, X. Nguyen, D. Olteanu and M. Schleich. arXiv:1812.09526. Local inversion-free estimation of spatial Gaussian processes. H. Keshavarz, X. Nguyen and C. Scott. arXiv:1811.12602. Robust estimation of mixing measures in finite mixture models. N. Ho, X. Nguyen and Y. Ritov. arXiv:1709.08094. To appear, Bernoulli. Learning models over relational data using sparse tensors and functional dependencies. M. Abo Khamis, H. Q. Ngo, X. Nguyen, D. Olteanu and M. Schleich. Conic scan-and-cover algorithms for nonparametric topic modeling. M. Yurochkin, A. Guha and X. Nguyen. Advances in NIPS 30, 2017. Multi-way interacting regression via factorization machines. M. Yurochkin, X. Nguyen and N. Vasiloglou. Advances in NIPS 30, 2017. Multilevel clustering via Wasserstein means. 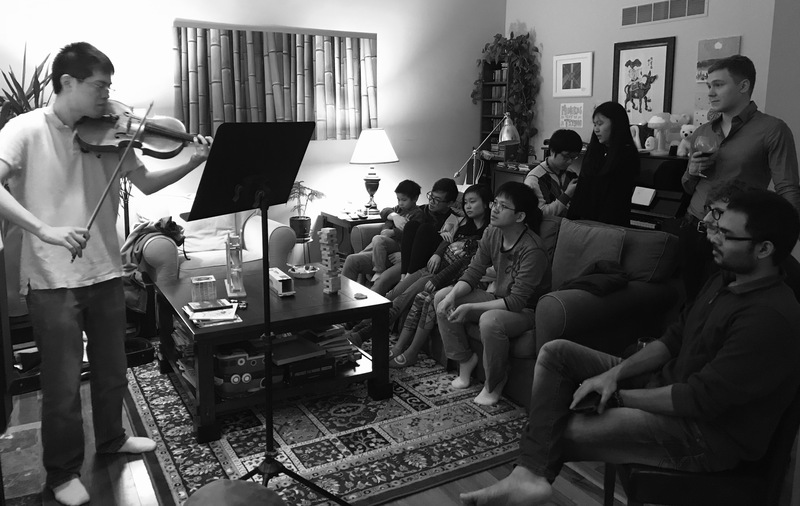 N. Ho, X. Nguyen, M. Yurochkin, H. H. Bui, V. Huynh and D. Phung. Proceedings of the ICML, 2017. Singularity structures and impacts on parameter estimation in finite mixtures of distributions. N. Ho and X. Nguyen. arXiv:1609.02655. Borrowing strength in hierarchical Bayes: posterior concentration of the Dirichlet base measure. X. Nguyen. Bernoulli, 22(3), 1535--1571, 2016. Geometric Dirichlet means algorithm for topic inference. M. Yurochkin and X. Nguyen. Advances in NIPS 29, 2016. Scalable nonparametric Bayesian multilevel clustering. 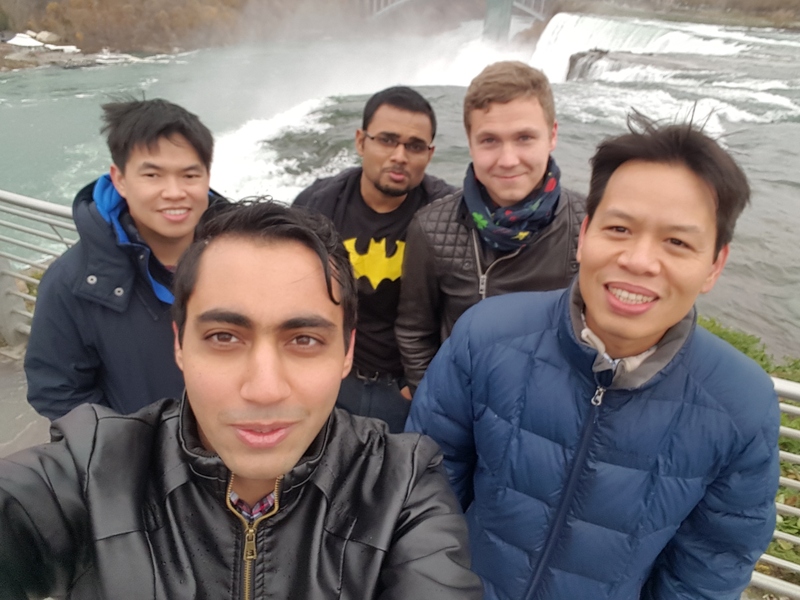 V. Huynh, D. Phung, S. Venkatesh, X. Nguyen, M. Hoffman and H. H. Bui. Proceedings of UAI, 2016. On the consistency of inversion-free parameter estimation for Gaussian random fields. H. Keshavarz, C. Scott and X. Nguyen. Journal of Multivariate Analysis, 150, 245--266, 2016. Convergence rates of parameter estimation for some weakly identifiable finite mixtures. N. Ho and X. Nguyen. Annals of Statistics, 44(6), 2726--2755, 2016. On strong identifiability and convergence rates of parameter estimation in finite mixtures. N. Ho and X. Nguyen. Electronic Journal of Statistics, 10(1), 271--307, 2016. Optimal change point detection in Gaussian processes. H. Keshavarz, C. Scott and X. Nguyen. To appear, Journal of Statistical Planning and Inference. Posterior contraction of the population polytope in finite admixture models. 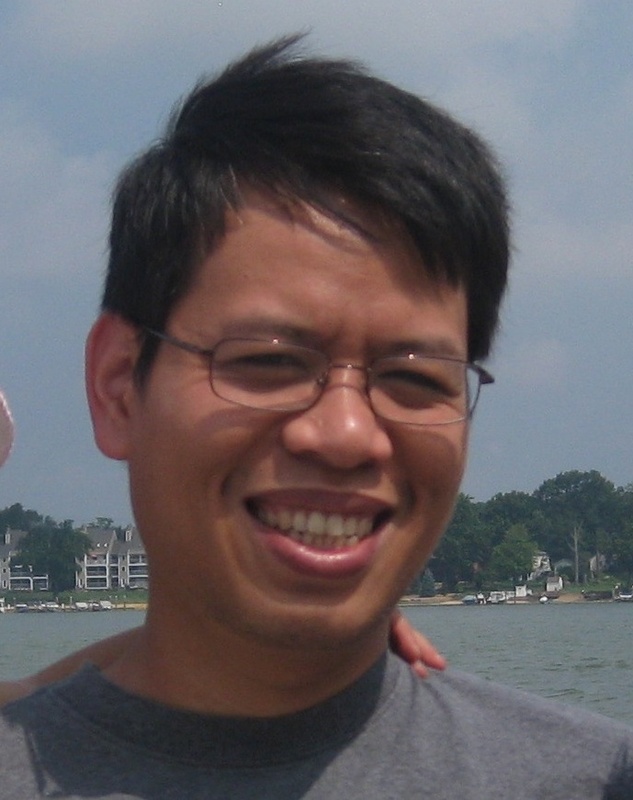 X. Nguyen. Bernoulli, 21(1), 618--646, 2015. Elements of data science Summer School on Data Science, Vietnam Institute for Advanced Study in Mathematics, Hanoi and Ho Chi Minh, May 2017. Multi-level clustering with contexts via hierarchical nonparametric Bayesian inference. Biostatistics Seminar, University of Michigan, October 2016. Singularity structures and parameter estimation in finite mixture models. Workshop on Empirical Likelihood Methodology, National University of Singapore, June 2016. Topic modeling with more confidence: a theory and some algorithms. Keynote talk, Pacific-Asia Knowledge Discovery and Data Mining Conference, Ho Chi Minh, May 2015. Borrowing strength in hierarchical Bayes: convergence of the Dirichlet base measure. 9th Bayesian Nonparametrics Conference, Amsterdam, June 2013. Convergence of latent mixing measures in finite and infinite mixture models. Bayesian Nonparametrics Workshop at ICERM, Providence, September 2012. Message-passing sequential detection of multiple change points in networks. IEEE Symposium on Information Theory, Boston, July 2012. Inference of functional clusters from non-functional data . Midwest Statistics Research Colloquium, Madison, March 2012. Dirichlet labeling and hierarchical processes for clustering functional data . IMS-China Conference, Xi'an, July 2011. Decentralized decision making with spatially distributed data . AI Seminar, University of Michigan, Oct 2009. Surrogate loss functions, divergences and decentralized detection. Thesis Talk, UC Berkeley, May 2007. Anomaly and sequential detection with time series data . Tutorial lectures given at Berkeley, 2006.